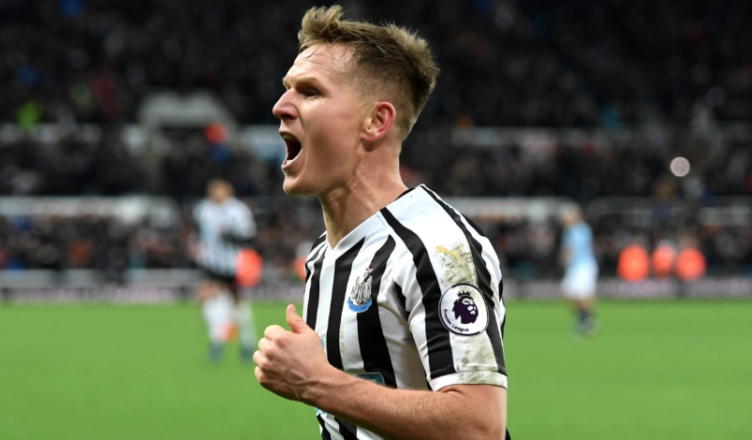 Matt Ritchie sends passionate message to NUFC fans during brutally honest interview – NUFC blog – Newcastle United blog – NUFC Fixtures, News and Forum. Matt Ritchie has sent out a passionate message to Newcastle fans in an open and honest interview with the Chronicle – insisting that every player in the team cares and that he is ‘sure’ we will stay up this season. Ritchie is exactly the type of personality we need in a relegation battle. He gets it and seems to understand the club and us fans. He has switched to a wing back position in recent weeks but hasn’t looked out of place at all – something which may have resurrected his career under Rafa given he had been struggling to make things happen as a winger. “Of course we care. It would be silly to think that we don’t care. “We want success and success in different places is different. “For us, to stay in the Premier League is success. “We need to keep working the way we have done. The Scotland international is no spring chicken, and has probably realised that to carry on getting game time and competing at the highest level he will have to adapt – and a change of position has done that. “We have managed to pick up some points but we need to continue that. “We need more good performance levels. “Every game is huge now, every week. “Where would we be without the win over Man City? The bottom three. “That shows how tight it is and that every game is huge, whether they’re in the top two, top six or the bottom three – every game is huge. He is captain material and his effort and commitment levels simply cannot be faulted – even when he was struggling earlier in the season. He is popular with the fans and his comments in this interview show exactly why. He was linked with a move away in the summer but it would’ve been a mistake to sell him in my opinion; especially when characters and workhorses like him are essential in a dogfight. Through 100% effort and togetherness – both on and off the pitch – we will stay up. Let’s hope 3 points at the weekend against Huddersfield is the start of our surge towards safety. I think we could do with Ritchie being a bit less passionate. He was the only one sticking the boot in against Moscow, and against WOlves he was booked in the first half for arguing with the ref. I bit of a calmer heed might be in order. You can not give 110% . It doesnt exist you can only go to 100% I wish people would stop making this ridiculous statement .